IT IS A TRADITION IN THE VUELTA ABAJO REGION FOR THE VEGUEROS (FARMERS) TO MAKE THEIR OWN CIGARS. Visitors to this part of Pinar del Rio province often want to try these cigars made in the land where the best tobacco in the world is grown. 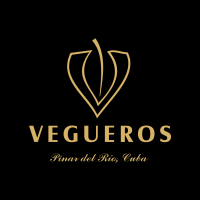 As a result, in 1996, the brand called Vegueros was introduced to the market as a tribute to the countless generations that have cultivated tobacco in Pinar del Rio. It has a special intensity in its blend that reflects the tastes of the local people. It is made at the “Francisco Donatien” factory in a sturdy building located in the centre of Pinar del Rio city that was built in 1868 and converted into a cigar factory in 1961.